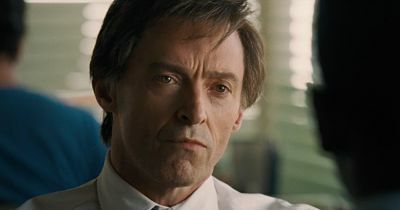 “The Front Runner” stars Hugh Jackman as former Presidential candidate and scandal-marred political figure, Gary Hart. It’s the first non-musical, dramatic role of Jackman’s post-Wolverine career. Jackman does get one six-second shouting moment that will forever be used on his highlight reel. But an uneven script and superficial treatment of the subject matter hold the actor down and prevent “The Front Runner” from being an awards season contender. Hart was considered the man to beat in 1988. But over the course of three weeks, that all changed. The young, progressive Democratic Senator from Colorado was accused of having an extramarital affair with Miami model Donna Rice. He then dropped out of the race. At the time this was pretty juicy stuff. But director Jason Reitman gives us a tame, off-kilter look at what turned out to be one of the most historic political scandals of all-time. “The Front Runner”’s is co-written by political journalist Matt Bai (with Reitman and Jay Carson). It’s based on his own 2014 book, All the Truth is Out: The Week Politics Went Tabloid. Bai wasn’t even out of college when the Hart saga occurred. Right out of the gate, the film has noticeable sound editing and mixing issues. Also early on, we get typical campaign staff and newsroom staff dialogue. Outside of a few comments uttered by Hart campaign manager Bill Dixon (played by Reitman staple J.K. Simmons) they’re all uninspired. 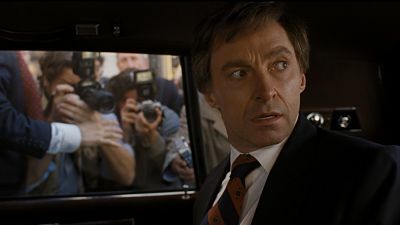 But the most glaring issue with “The Front Runner” is its portrayal of Hart as victim, even though it was his (repeated) actions that caused his downfall. Hart (and the film in general) blames the media – for being too invasive into his personal life (something uncommon in the political arena 30 years ago). Most of the newspaper reporters/editors are depicted as goofy, unethical or incompetent. This is a textbook example of killing the messengers. Simmons has some solid “Simmons-esque” moments, but like Hart, Dixon is given shallow treatment. It’s Vera Farmiga who gives the movie’s best performance as Hart’s wife, Lee. She’s easily the most relatable character. “The Front Runner” does make a few winning points about the media’s place in the personal lives of public figures. And it shows how things have changed so dramatically since 1988. But Reitman’s biased, apologetic angle overshadows everything. “The Front Runner” had the potential to be an intense, juicy, truth-provoking political drama. But like many politicians, Reitman doesn’t deliver on what this true story promised. On The Official LCJ Report Card, “The Front Runner” gets a C.